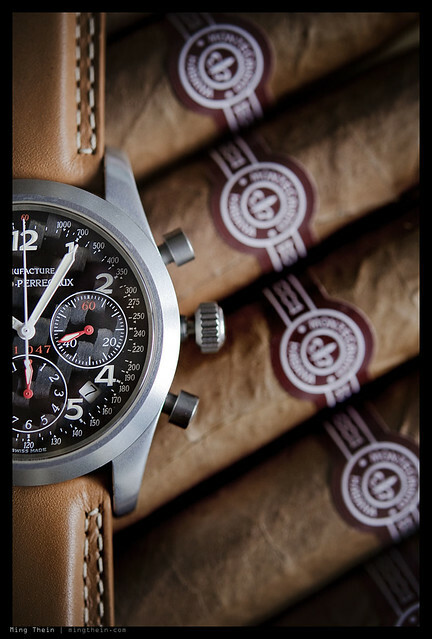 Following on from Robert-Jan’s excellent review of the Girard-Perregaux WW.TC Financial, I thought an appropriate next article would be on a little known GP that happened to enter my possession not that long ago – actually, the end of a long quest. On a JLC Master Compressor strap. To say 21mm curved end options are limited would be an understatement. Click on all images for larger. 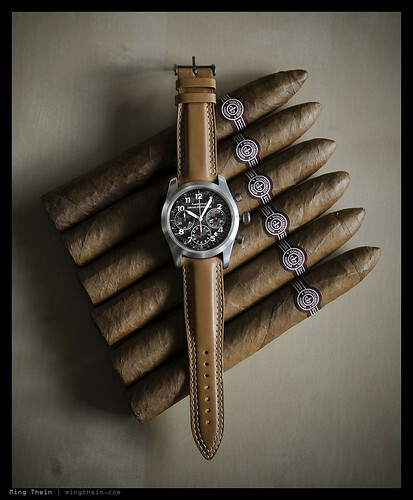 Back in the late ’90s and early ’00s, Girard-Perregaux produced a line of watches with official Scuderia Ferrari branding. Unlike the most recent incarnations of Ferrari watches, these were subtle and very tasteful – so subtle that some of them do not even in fact carry any Ferrari branding anywhere on the watch. 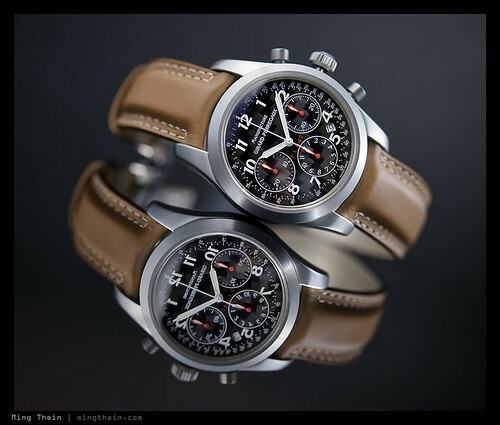 The chronographs with Dubois-Depraz module, usually ETA 2892A2 based with a DD 2021 piggyback. Also known as the GP caliber 2280. 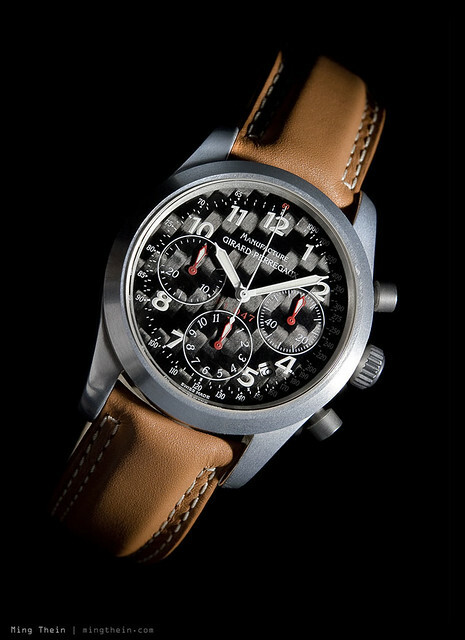 One notable exception is the SF Foudroyante with 1/8th flying and split second chronograph. 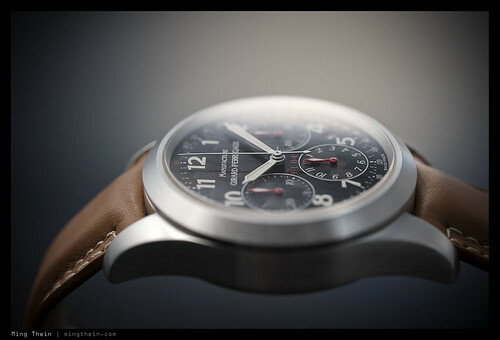 The movement is a GP8020 which was developed by the British Masters and subsequently used in several Graham chronographs. Arguably, the most interesting of the bunch is the SF Foudroyante; it isn’t the rarest though, nor is it the easiest to live with – the movement will require very regular servicing and lubrication if the chronograph is to be used with any regularity. I’ve seen several for sale, most of which note ‘watch will require service, flying second hand not running smoothly’. Also, it isn’t cheap, even on the secondary market. I remember first seeing the F1-047 early 2002, shortly after its release. It must have made quite an impression on me, because it was one of those watches that hovered at the rear of my consciousness, occasionally prodding me to buy one whenever a used model showed its face – which was rare. My hunt began a little more seriously at the end of 2010, when I also found precious little information available about the watch. The GP F1-047 (Ref. 4955) and GP F1-048 (confusingly, also Ref. 4955) are siblings. The numbers come from the model numbers of the engines powering the Ferrari F1 cars; it’s rumored (and I have not been able to confirm this, one way or another) that the cases for the 047 were cast from aluminum material obtained from a used Ferrari F1 engine block. The 047 has an aluminum case; as far as I can determine, there were anywhere between 100 and 200 of these made, meant as a prototype series for the 048, which has a titanium case (there are 1000 of these). The 047s are not numbered, but the 048s are. 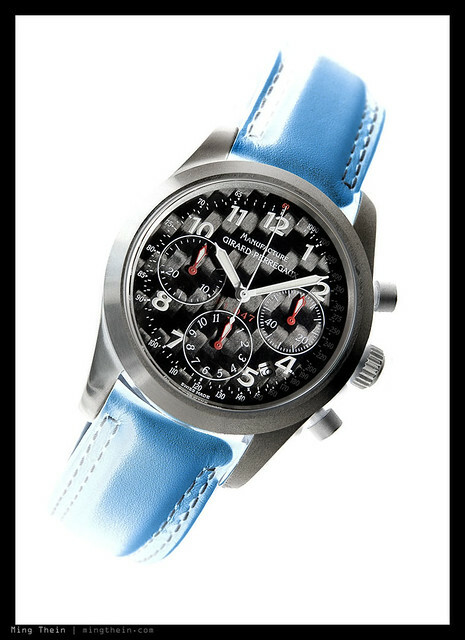 Both fall into the third category of Pour Ferrari watches, and are powered by the GP 2280. It gets even more confusing. 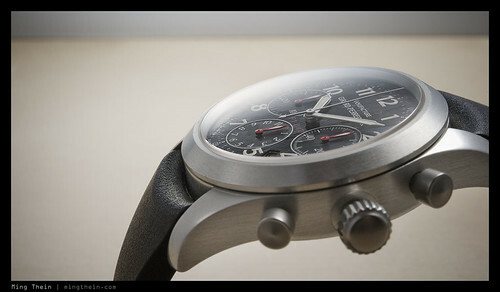 While I’ve only ever seen or heard of one variant of the 048 (brushed titanium case, titanium back, titanium pushers, rubber strap with titanium buckle etched with prancing horse and series number on the caseback) – it seems that there are many of the 047. Apparently, versions exist with aluminum or titanium for the pushers/ crown and case backs, and any combination of printed/ engraved/ blank case backs! 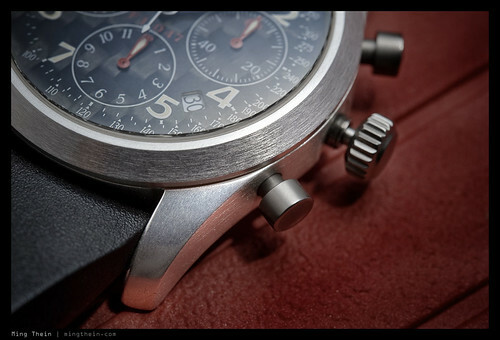 I have what I assume is a mid-production version, with a printed aluminum caseback and titanium crown/ pushers. 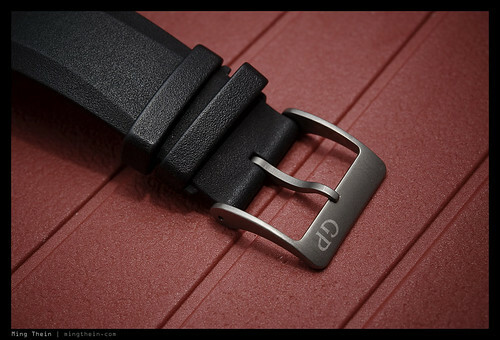 The strap buckle is also titanium, but etched ‘GP’ rather than with the prancing horse. 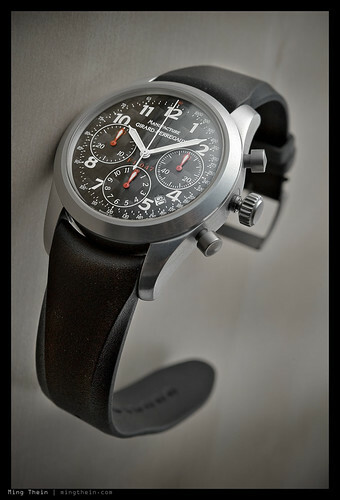 In fact, aside from the F1-047 reference on the back, there is no mention of Ferrari whatsoever on this watch. One eventually showed up on my doorstep earlier this year. It had been many years since I last handled one. I thought the box was empty (!) – turned out the watch was even lighter than I remembered. It seriously felt like wearing nothing at all once strapping it on, especially after coming from my much heavier Sinn 756. The highlight of this piece is undoubtedly its case and dial – at the time, aluminum was a pretty novel material for a watch case, especially with the finish applied here – brushed bezel and caseband, polished lugs and back. Polished aluminum is visually quite interesting – it’s a light colored metal, shiny but nowhere near as shiny as polished steel. I guess it’s somewhere between polished and sandblasted steel, but closer to the latter. If you look closely though, there’s a glossy coat over every part of the watch – even the brushed bits – which I assume is a protective coating of some sort, probably aluminum oxide or a derivative. Imagined in an alternate reality. I think I’m going to go hunting for a blue calf strap. Surprisingly, the watch is a lot more resilient than one would expect for aluminum – so far, no dents and only a couple of hairline scratches to the glossy coat. And this watch is about ten years old! Less impressive are signs of corrosion pitting. Apparently this was a common problem with the aluminum cases, which GP was replacing at one point. There are a few spots on the backs of my lugs, but nothing serious, and it’d be almost certainly impossible to get a replacement case at this point. 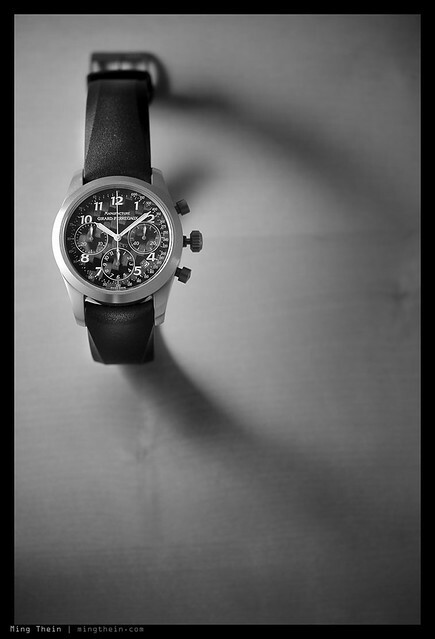 The dial is carbon fiber, with a fairly large weave and waffle texture, except for the chronograph subdials, which are smooth and matte. 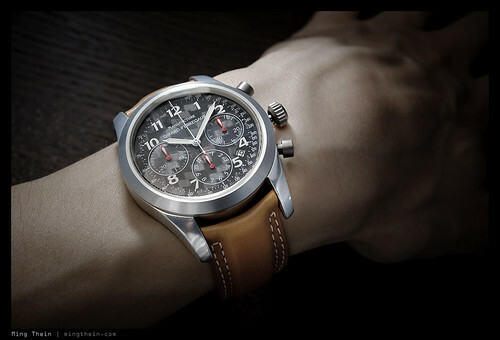 All of the hands except the chronograph seconds hand are luminous, as are the numbers, which is a nice touch. After minimal charging, it still glows like a torch – no tritium here. A tachymeter scale is present around the circumference of the dial, but like most of these things, is utterly useless and impractical. There’s a date window a 4.30 also, unfortunately it’s white against a black dial, which is obvious but not aesthetically pleasing. It does, however, change precisely at midnight. 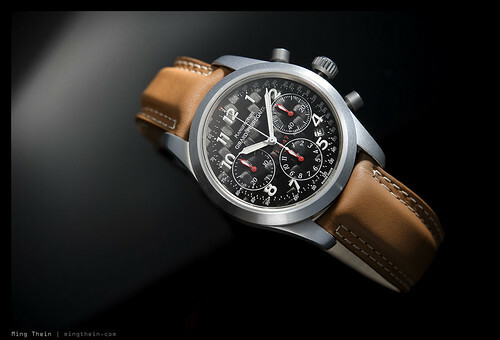 Modular chronographs have a bad reputation – jumping seconds during start/ stop, unreliability, impossibility of service, the list goes on. The DD module in my Omega Dynamic Chronograph has been problem free for the last ten years; no jumping seconds, but the pushers are getting a bit sticky – I attribute that to the bucket design rather than the chronograph module. The 047, however, I suspect will prove to live up to its reputation. The continuous second hand jumps, stutters and pauses with every chronograph start/ stop; the chrono seconds hand isn’t that smooth, and the action is pretty tight. 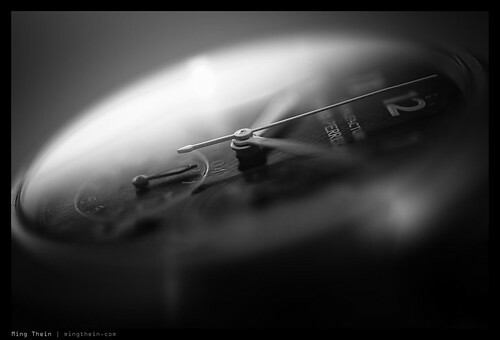 I suppose I should be thankful that the minute hand doesn’t jump too, and that it still keeps good time – to within a few seconds a day. While I’m ranting, there’s one other complaint I’ve got with this watch: the strap must have been designed for a giant. The smallest hole barely fits a 7.25” wrist; I wore it loose with another couple of extra holes whilst trying to get a short size, only to be informed that they only make it in one size – and a replacement would be US$300! Thanks to the odd 21mm/curved lug fitting, there are few straps that will fit the watch. I settled on a JLC Master Compressor strap in honey calf, which fits like a glove, and complements the watch beautifully. When new, these were not good value for money by any stretch of the imagination. Unique, yes. Fortunately, time and obscurity have done wonders for affordability, and if you’re patient, one can be had for less than the price of an Omega Seamaster or Tag Heuer Carrera. With only a couple of hundred of these around, you’d better be prepared to wait though. Sometimes, the hunt is a good chunk of the fun.